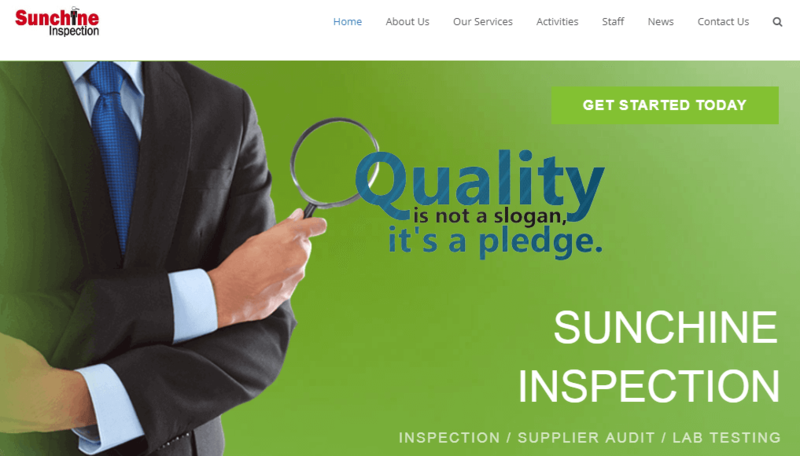 Sunchine Inspection, a professional one-stop international inspection provider, focus on providing more flexible and humanized inspection serviceto clients from all over the world. Sometimes I visit a buying office with a dozen people, and most of them have “manager” somewhere in their title. The heads of functions (purchasing, QC, accounting…) are “managers”, even though their teams are quite small. Then there are “project managers”, and a “general manager”. The truth is, one manager is enough in that case. When I started working in Hong Kong, I noticed that any salesperson was an “executive”, and that many people had “general manager” somewhere near the end of their title. My assistant at the time told me “this is Hong Kong… titles don’t mean anything”. Actually they do mean quite a lot to those employees. A grand title looks nice on a resume, so it helps attract lots of candidates for a job opening. (Similarly, it means you are attracting those already thinking of their next job — not necessarily the right crowd). Pompous titles also give face. And that’s another danger right here… These so-called managers think their job is simply to do emails, attend meetings, and tell their staff what to do. A manager doesn’t do any work by himself, or so they think. What is a good manager supposed to do? A good manager achieves more with fewer resources. Doing email, running meetings, and having tea with the boss is not, in itself, real work. Get to the root cause of problems, and solve them once and for all. And let’s not forget, a real manager is ready to take a lot of pressure from his boss when something goes wrong. It is part of the job. How to reward good employees? Unfortunately, good individual contributors don’t necessarily make for good managers. A good purchaser might not be a good purchasing manager. The job content is not the same (I described the manager’s job content above). So, how to recognize the achievements of a good individual contributor? Offer her a career path where she remains an individual contributor, but makes more money and gets more respect. For example, Google has “distinguished engineers”, “Google fellows”, and so on. These titles mean a lot inside the company. Naturally, salaries need to progress as well. Giving a rise or a promotion (alternatively?) at least once a year is good practice in China. Do you agree with this? Do you think it is applicable here? PS: if you want Inspection Servic. Just click here. Thanks!